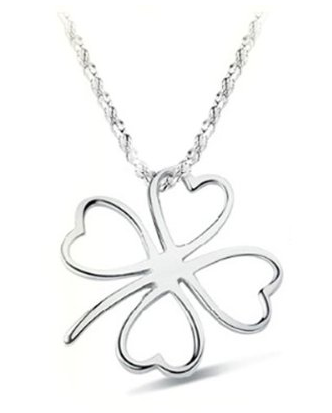 Sterling Silver Clover Necklace Only $3.07 + FREE Shipping! You are here: Home / Great Deals / Amazon Deals / Sterling Silver Clover Necklace Only $3.07 + FREE Shipping! Check out this simple yet pretty necklace – get this Sterling Silver Clover Necklace for just $3.07 + FREE shipping!